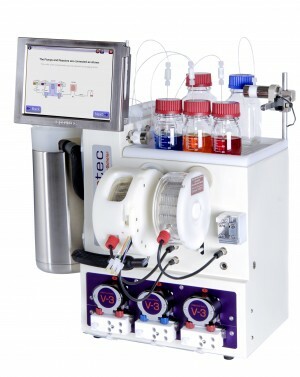 A flow process for direct amination of a pharmaceutically relevant substrate using a Pd-NHC based catalyst was demonstrated in a lab-scale mini-plant and in a pilot-scale plant. 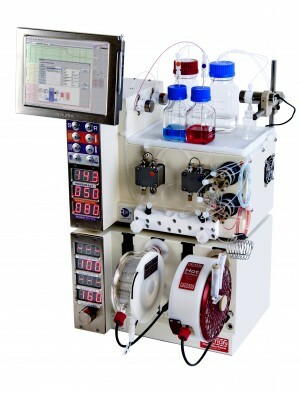 The lab-scale mini-plant was used to determine catalyst stability under recycling conditions. Results in the mini-plant have shown the maximum space–time yield between the three types of reactor systems: a batch reactor, a mini-plant and a pilot plant. A comprehensive life-cycle assessment study of the synthesis of organometallic catalysts and their impact on the overall LCA of flow vs. batch syntheses was developed. Combined with a simplified economic analysis, the LCA study confirmed the benefits of switching to flow.